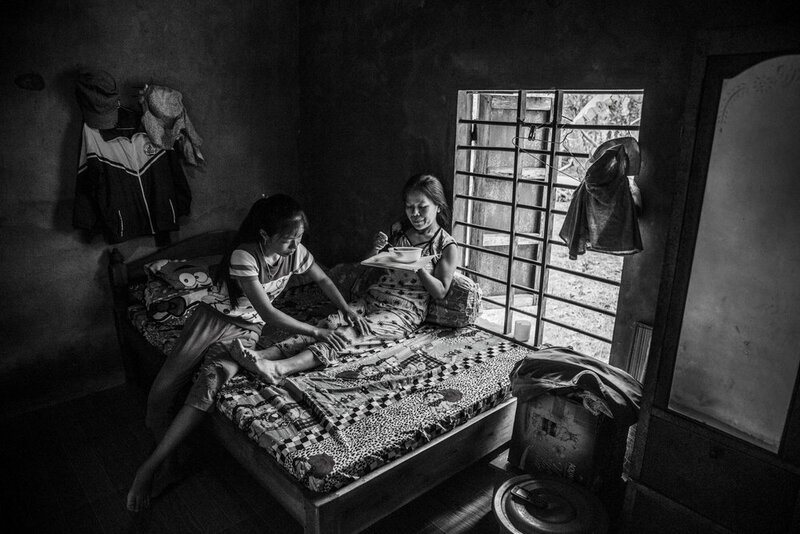 Thủy lives with her mother in a village in Quảng Trị Province, Central Vietnam. She has never known her father. Their simple two roomed house was built by the government as they are too poor to afford their own. Her mother hardly ever leaves her bed, probably because she has severe depression. Thuy looks after her gently, cooking, washing and tending to the neighbour’s cows. She made a deal with the neighbour that if she looks after his two cows for free, then she gets to keep the first calves. So she now has two small ones of her own……. And she wants to become a doctor. Today, this ambition became a lot more realistic as HandsforHope.org.au has just agreed to fund her education. Hopefully, one day she will understand much better what has made her mother so ill.